The Zoar Harvest Festival 2019 will be here before you know it so please mark July 27th & 28th of 2019 on your calendar. 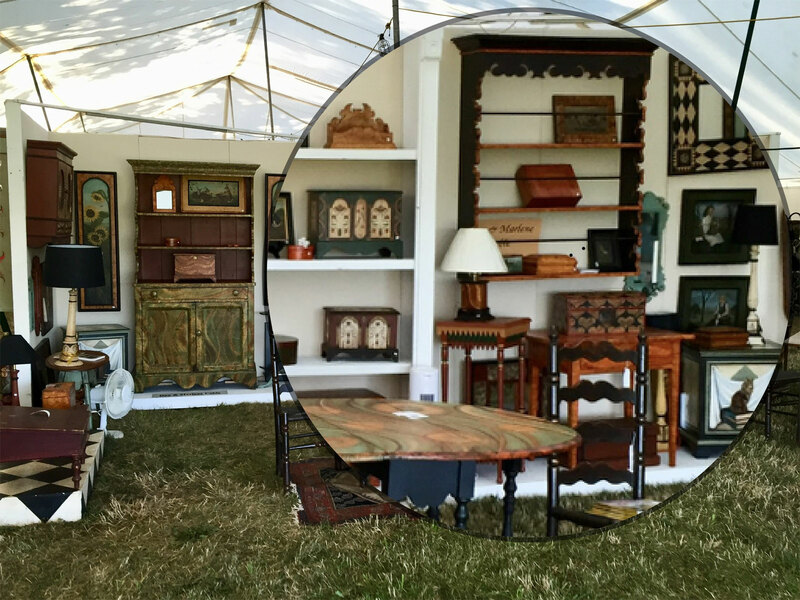 The Artisans Tent at Zoar is one of the top fine arts & craft shows in Ohio and is part of the Zoar Harvest Festival. Our artists are already working on new American Folk Art pieces for the upcoming show. Click Here to get discounts for the Upcoming Show! This years Zoar show will feature over 30 of the top traditional American folk artists in the United States. Our artists have been featured in books, magazines, radio and TV. Be prepared to be amazed... at the level of quality in these creations by America's very best traditional folk artists. You are invited to see and meet more than 30 artists and their incredible handcrafted treasures including Pottery, Hand Crafted Furniture, paintings, quilts, painted furniture, and much more. What You Will See Under the Tent! Not only will you meet and talk with some of the finest traditional American Folk artists but see their time honored craft. With over 30 artists you will see traditional crafts including; paintings, furniture, pottery, painted furniture, theorems, floor cloths, Noah’s Arks, paper cutting, stone carving, primitive paintings, whimsical hand carved birds & folk art, hand-woven rugs, hooked rugs, hand woven baskets, Windsor Chairs, tavern & trade signs, leather work, decoys, and much more! Throughout the year our artists will be posting examples of their handcrafted items and information about their traditional art form. Our Facebook contains interesting information on this years artisans, as well as pictures and videos of their work.